thanks Marc! OLYMP-IAAAA! Looking forward to yours. I can honestly say that I've never seen this cartoon before! Neat pick though. I finally settled on an idea for this show...I can only say that it involves a team of five, should be fun. Go watch an episode on Youtube. 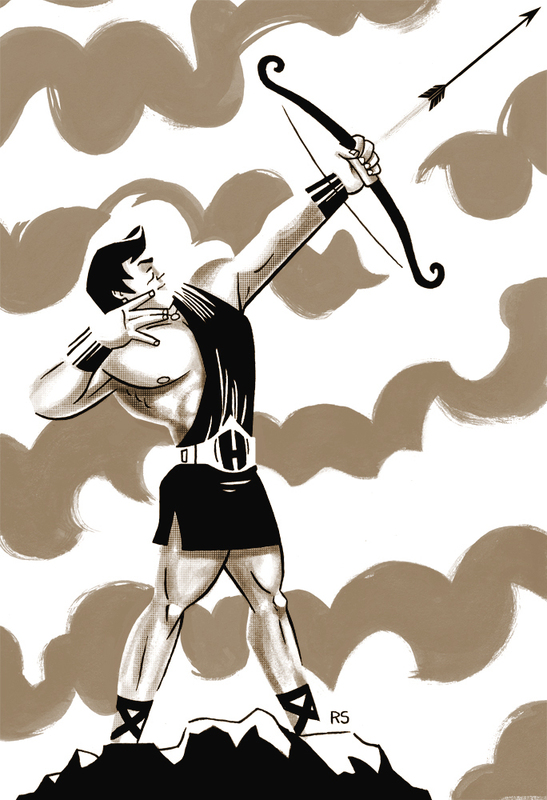 Bruce Timm borrowed Hercules' likeness for his Superman design when he was struggling to find an iconic look for him. The cartoon is cheesy as all get out, but in a good way like Spider-Man was. Wow this is amazing! Really like the sepia and zipatone effects. Great brush work too! This is awesome. I vividly remember watching this cartoon as a kid. Not loving it, but watching it. Thanks man. haha yeah it was on a lot if I remember correctly. every day. at the time I watched anything adventure so this and Rocket Robin Hood were a great 1-2 punch! This is fantastic! One of my favorites when I was growing up.